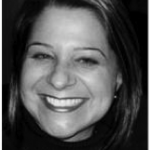 Penelope Fridman, Toronto, ON, Canada | The Secretan Center, Inc.
With almost two decades of marketing and senior-level business experience across a myriad of categories, Penelope brings great insight and perspective to Scientific Intelligence and her clients. Penelope’s unique skill set – from strategic planning to general business management and multiple stakeholder communications – has enabled her to provide results-generating services to a number of organizations. Penelope has developed and implemented strategies, marketing, communications and social programs for corporations, NFPs and public/private partnerships across many sectors including financial services, retail, consumer packaged goods, pharmaceutical and industrial. Clients include RBC, Magna International, Rogers, Heart and Stroke Foundation of Ontario, Canada Post, Purina, Tennis Canada, UNICEF, The Ontario Chamber of Commerce, Live Nation, Humana, Sanofi, Molson/Coors, Unilever and Tim Hortons. Penelope is actively involved with the Rotman School of Management, and is an alumna of The University of Western Ontario and The Rotman School of Management.